A few months ago I received an email. Lisa McKendrick's new book, Letters To My Future Husband, was going to print and she needed a few author endorsements. I remembered how worried I was when I went through the same process with Becoming Beauty and how relieved I was when some amazing authors came on board. (And let's be honest, I was a tad flattered.) However, I approached Letters with my heart in my throat. Because, what if I didn't like it? Could I really say, Hey, this isn't my style, maybe you should ask someone else, if I thought it was rubbish? Lisa is an established author with three other books under her belt. She knows how to blend romance and humor perfectly. I'm a singleton myself, but I never would have guessed how relatable I would find her spunky main character, Sophia Stark, from Letters. 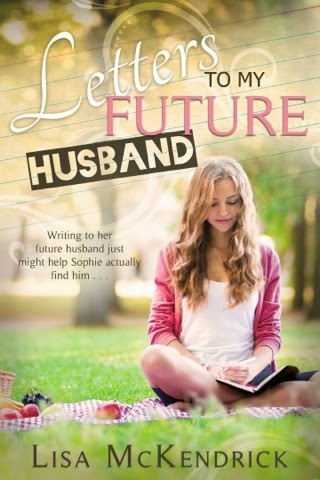 Sophie's journey through life and the Big Bad Dating World touched my heart and kept me laughing until the very end. My favorite element of the story is her preteen mentor on the journey, a sassy ten-year-old who will one day be Sophia's daughter. As you might expect, Sophie's interactions with her daughter grow her as a woman and enrich the experience of finding her future husband. As a helpless romantic, Letters had me cheering, cringing, and occasionally berating Sophia for her bonehead choices, all of which only serve to make her a more lovable heroine. Letters is a story that heart and soul celebrates womanhood. It's one that both married and singletons alike will appreciate and that women of all ages can enjoy. Lisa has been actively writing for many years and continues to hone her craft as a writer by attending SCBWI conferences in Florida. She graduated from Brigham Young University with a master’s degree in English, and has published three books in the LDS market.To learn more, visit Lisa on her website Utterance or her blog Dog Ate Your Baby Book. On A Whim, A Life of My Own, and Clan Destine: The Ferguson Farm Mystery. Looking for something else to read? Check out my recommendations! Geek Chic, Ann-with-an-E, Where Life Takes You, Persuaded, Pass the Pepper, Tragically Flawed...or Not, Hope Grows In A..., or Southern Belles: Words of Wisdom and Other Shenanigans. Happy reading!